We are a multi-national consortium of over 100 partners worldwide. By working together with local NGOs, governments and businesses to make sure everybody on this planet has sustainable access to water and sanitation. In Africa we run programmes in Ghana, Mali, Benin, Uganda, Ethiopia and Kenya. In Asia, we work in Nepal and Bangladesh. In these countries we set up local alliances that enable us to optimally make use of local knowledge and networks and tap into existing WASH structures. Sustainably improve access to and use of sanitation and improving hygiene behaviours for at least 2 million people, and access to and use of safe drinking water for at least 450,000 people in the coming five years. 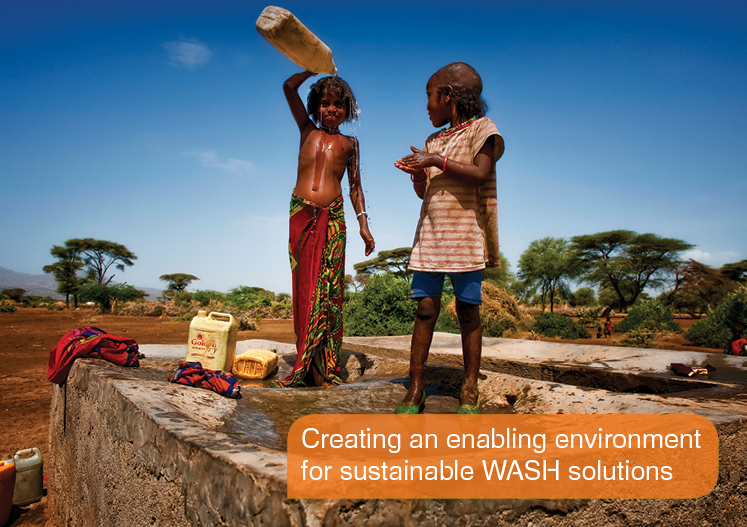 The WASH SDG Programme is the largest programme WASH Alliance International is currently involved in. The WASH SDG Consortium (in which we have joined forces with SNV and PLAN Netherlands) has been granted 59 million euro by the Dutch government for our joint programme to implement water, sanitation and hygiene projects in Bangladesh, Ethiopia, Indonesia, Nepal, Tanzania, Uganda and Zambia. The WASH SDG Programme responds to the Dutch commitment to contribute to the Sustainable Development Goals, particularly SDG 6, with the aim to reach an improved WASH situation for all. Everything we do is aimed at increasing improved access to and use of safe water and sanitation services and improved hygiene practices. This way we want to contribute to sustainable development.